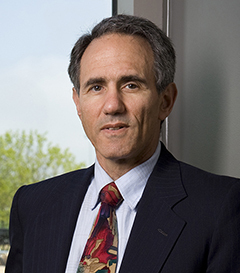 David H. Kaye is Distinguished Professor of Law and Weiss Family Scholar at Penn State Law and Regents' Professor Emeritus of Law and of Life Sciences at Arizona State University. He has held teaching or research appointments at Cornell University, Duke University, the University of Chicago, and the University of Virginia. Commission on Forensic Science, the National Commission on the Future of DNA Evidence, the National Institutes of Health, the National Institute of Justice, the National Institute of Standards and Technology, and the International Conferences on Forensic Inference and Statistics. His publications include 11 books and over 170 articles and letters in journals of law, philosophy, psychology, medicine, genetics, and statistics. A study of legal scholarship since 2000 placed Professor Kaye among America's top ten most frequently cited evidence scholars. Expert Evidence provides in-depth coverage of the topics that lawyers and judges must know when dealing with expert testimony concerning medicine, engineering, psychology, economics, and forensic science, among other areas. The New Wigmore: A Treatise on Evidence is an authoritative guide with answers to evolving questions in civil and criminal litigation . The five volume series presents the same quality of research, thought, and analysis as the original Wigmore , creating a genuine present-day counterpart.